 How to spot fake Louis Vuitton bag | iSpotFake. Do you? Just how do you tell a fake Louis Vuitton bag from the real thing? 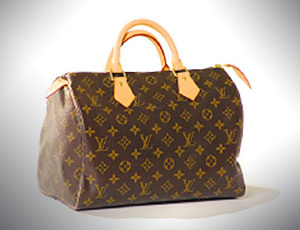 Check out our top 5 ways to spot a fake designer luxury item..
Louis Vuitton products are only authorized to be sold at Louis Vuitton stores and online at www.eluxury.com, or by calling 866 VUITTON. Purchases made are limited to small amounts to avoid reselling, so if you encounter a seller with a large inventory (more than a few items), chances are, they are counterfeit. Do your homework! Study celebrity photos, magazine ads, the catalog on the LV website and the inventory on eluxury.com. If you have never seen the item in question elsewhere, most likely, it doesn’t exist. For example, there never was a Cherry Blossom Speedy or a Murakami Visor. Many times, authentic Louis Vuitton handbags will have handles made out of genuine rolled cowhide and they will NOT be wrapped in any kind of plastic or bubble wrap. If you see this on an item, it is a fake! With Louis Vuitton, you get what you pay for. An authentic item can last a lifetime and with the proper care, can live long enough to be passed on to your children. If you encounter an alleged LV item with a price that seems “too good to be true”, it probably is and is most likely a fake. Louis Vuitton expertly crafts their handbags out of one continuous piece of of fabric or leather so if the item in question has cut off/asymmetrical logos or a seam at the bottom of the bag, it is not authentic. Next Next post: Japador attacks or how to spot fake fragrances and perfumes?